According to Days of Year, it’s chocolate-covered peanuts day! I thought that sounded awesome. Then I heard that it’s also International Cochlear Implant Day. Wow, there really is a day for everything! So today I’m “celebrating” my first Cochlear Implant Day. I’m celebrating by streaming music from You Tube from my laptop straight to my CI. I’m the only one who can hear the music. No one else around me can hear this. You want my superpowers?? Lol. 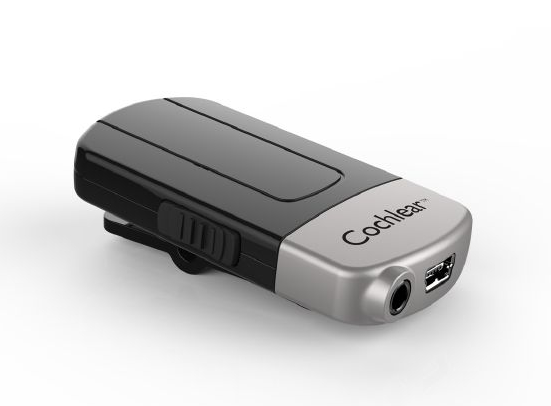 One of the CI accessories that I chose is the Cochlear Mini Microphone. The mini mic is a wireless microphone that allows you to hear speech clearer and stream sounds directly to the CI. If a CI wearer is in a noisy environment and wants to hear someone clearer, they can place the mic near that person or even have them wearing. Then whatever they say will go straight to the CI. It’s also useful for people who are a bit far. For example, I can leave the mic downstairs in the kitchen while my family is preparing dinner and go do whatever I need to do upstairs in my room. From there, I can hear everything that they are saying. Right now, we’re playing around with the sound quality of my processor, so sounds are different every week. Last week music and voices sounded clear, but environmental sounds were too loud. So we brought the volume down a bit. This week, some sounds are too soft/muffled and music is back to being a bit robotic. I’ll blog about this more in the next posts. But, since the CI surgery destroyed all the nerves and hair cells that allow people to hear, it’s weird how I hear absolutely nothing without my CI. Now, I can use things like the mini-mic to secretly bug conversations! Don’t worry dear family and friends, I won’t actually do that. Unless you give me a reason to! The mini-mic is still very new; it only came out last year, and many audiologists are still learning about it. CI’s have really come a long way since 1967, when Dr. Graeme Clark begin researching possibilities of creating technologies that could help those with hearing loss. Then in 1977, he started playing with a turban shell and a piece of grass, and boom, the idea of the electrode array was born. Then, the first cochlear implant surgery was performed in 1968, and since then, the portable clip-on processor has greatly evolved. 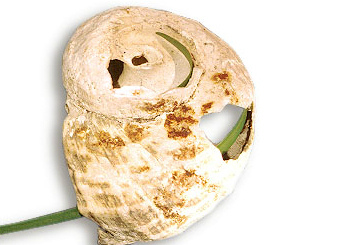 You can check out the Cochlear history here. Happy Cochlear Implant Day! Go have some chocolate-covered peanuts! Help me spread knowledge about CIs! Like my Facebook page and share these posts from there. The mini mic thing is friggin cool! Like something out of a Bond film. The description on the page that I linked to says “hear the TV or radio when you are away from home” – OMG, it works. Well kind of. I stepped outside and I still had TV streaming straight to my CI. I just wanted to say that I really appreciate your blog. My daughter may be getting a CI soon and so I’ve been trying to do some research. I found lots of information, but I wanted to know how it felt and what it sounded like, not just what it was and how it worked. Your account is so precise and complete. It answers all my questions and more! I love that you include the technical side and the ‘real person experience’. In short, thank you. You have helped me and truly made me more comfortable with this decision! Hi Allison! Thank you for reading and for your nice message! I try to be as precise as possible, because this is the kind of information I would have liked to have gotten when I was doing research before going for my surgery. But of course, everyone’s experience is different. I’m glad you feel more comfortable though. I would be happy to answer (or try to answer) any questions, so feel free to write to me. Best of luck to your daughter. Cheers!